ARCADIA, WI - Ashley Furniture Industries, the largest U.S. residential furniture manufacturer, with $4 billion in sales, seeks a buyer. Goldman Sachs Group Inc. is handling the transaction, according to the Wall St. Journal, which first reported the news. Ashley has been rapidly expanding, and recently completed a major phase of expansion in its newest plant. The company has long tread an unusual path in its expansion, outpacing rivals like Furniture Brands International which have fallen during the downture. 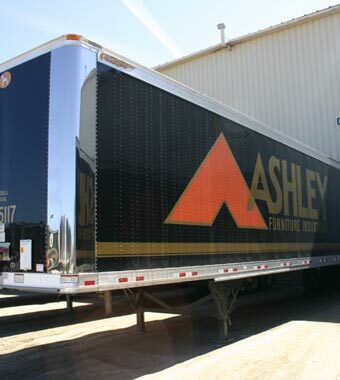 For example, bucking the trend toward outsourcing trucks and drivers, Ashley Furniture makes deliveries in its own fleet of trucks, adding profits through its handling of logistics. 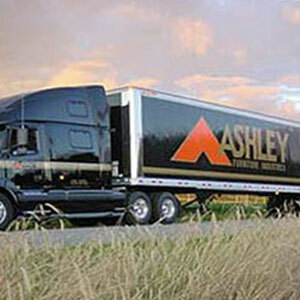 Ashley owns and operates about 800 trucks and delivers almost all of its products from factories to its 560 stores. Rather than viewing the delivery process as an expensive burden, the company has turned logistics into a competitive advantage and makes additional money by loading up its trucks on return trips. Ashley Furniture also manufactures its own cutting tools, a type of operational economy that it says will help it in its cost-cutting efforts as it plans to open 1,000 retail furniture stores in Asia - about double the stores Ashley Furniture operates in the U.S.
Ashley Furniture's biggest current venture was the grand opening of its 1.1 million square foot expansion in Davie County, North Carolina. The completion of Phase 2 of the project brings Ashley Furniture's manufacturing and distribution complex there to 2.8 million square feet. The new facility Ashley will have created more than 657 new jobs in the county. Plans call for the complex to employ approximately 800 people.